These can be booked on most routes - the supplement is �25 per night. The holidays are run on a bed and breakfast basis. A full English breakfast is included in the price, but we leave you to pay for your packed-lunches and evening meals. Your Tour Pack contains information on places to stop for lunch or buy picnic materials also the best places to eat in the evening. Some of the guest houses we book can also provide evening meals, and we recommend you try this home cooking where available. We transport your luggage between overnight stops (maximum of 15kg per bag). Every time you arrive at a new destination, your luggage will be waiting for you, so all you need to carry on your walk is a light daypack containing whatever you require for the day such as waterproofs, camera and picnic lunch. 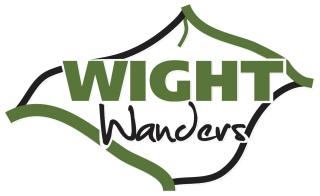 The first section of the Isle of Wight Coastal Path tends to run further from the coast than other sections, in much the same way that the first section did. Here, you move inland after crossing the Wootton Creek. Before that, a highpoint is Quarr Abbey, originally a Cistercian site dating from the 12th Century. The present abbey, however, was built in the early 20th Century by Benedictine monks. Next is the stunning Osborne House, a favourite retreat of Queen Victoria and is the singular most popular attraction on the Isle of Wight. Thereafter the trail continues back to East Cowes. A gentle isection of the Isle of Wight Coastal Path with mildly rolling landscape to follow. There is plenty to see on this section, starting out with the Royal Yacht Squadron as you leave Cowes. In addition to the world-famous Cowes Week in early August, there tend to be boating events on at most times throughout the season. The trail leads you along cliff tops before descending onto the beach at Thorness bay where your likely to see wading birds, including oyster catchers, ringed plovers and redshanks. It was at this beach during World War II that the pipeline used to supply fuel to the invading allied forces came ashore. After the Thorness Holiday Village you veer away from the coast and inland through the Newton National Nature Reserve with further bird watching opportunities on offer. Shortly thereafter, the trail makes its way back towards the coast, eventually arriving in the attractive, bustling town of Yarmouth. This section of the Isle of Wight Coastal Path is dominated by the three pinnacles of the Needles with the Old and New Batteries and the Black Knight missile test site (The best view of the Needles is from the Old Battery which is National Trust property so do not forget your card if you are a member!) and the multi-coloured cliffs of Alum bay. From The Needles and Scratchell Bay, the trail continues along the chalk ridge of Tennysons Down past the Tennyson Monument following chalk cliff tops past Compton Bay with its excellent beaches. From there you pass along Brighstone Bay before arriving in your destination of Brighstone.